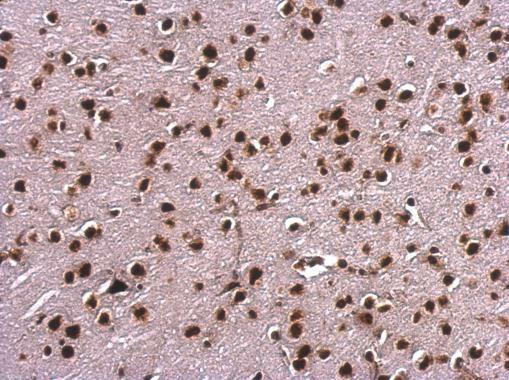 This gene encodes a D-binding protein which has high specificity for scaffold or matrix attachment region D elements (S/MAR D). This protein is thought to be involved in attaching the base of chromatin loops to the nuclear matrix but there is conflicting evidence as to whether this protein is a component of chromatin or a nuclear matrix protein. Scaffold attachment factors are a specific subset of nuclear matrix proteins (NMP) that specifically bind to S/MAR. The encoded protein is thought to serve as a molecular base to assemble a 'transcriptosome complex' in the vicinity of actively transcribed genes. 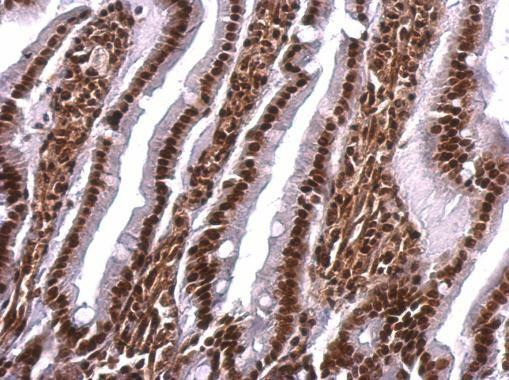 It is involved in the regulation of heat shock protein 27 transcription, can act as an estrogen receptor co-repressor and is a candidate for breast tumorigenesis. 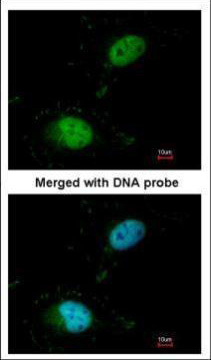 This gene is arranged head-to-head with a similar gene whose product has the same functions. Multiple transcript variants encoding different isoforms have been found for this gene. 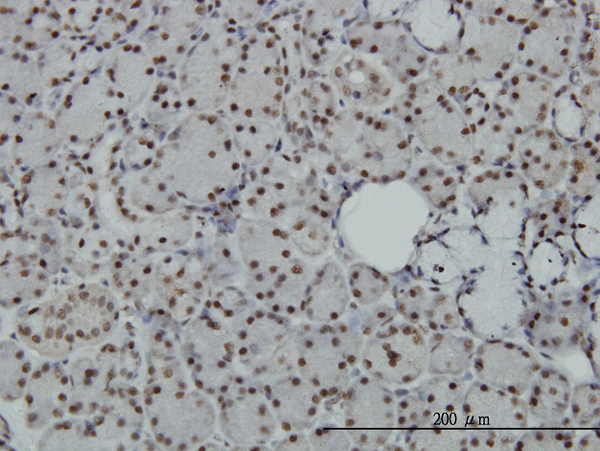 SAFB monoclonal antibody (M04), clone 5A11 Western Blot analysis of SAFB expression in Hela NE ( Cat # L013V3 ). 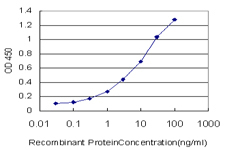 Detection limit for recombinant GST tagged SAFB is approximately 0.1ng/ml as a capture antibody. Sample (30 ug of whole cell lysate). A: A431 . B: Hep G2 . 7.5% SDS PAGE. TA308810 diluted at 1:1000. 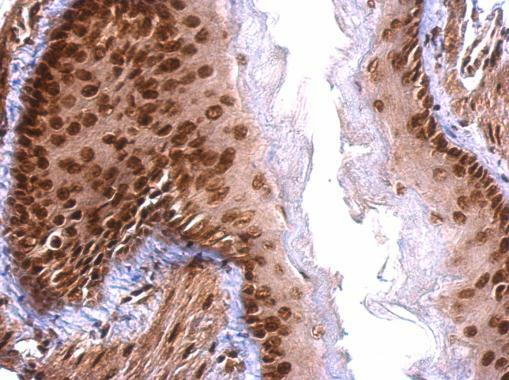 Scaffold attachment factor B1 antibody detects Scaffold attachment factor B1 protein at nucleus on rat fore brain by immunohistochemical analysis. 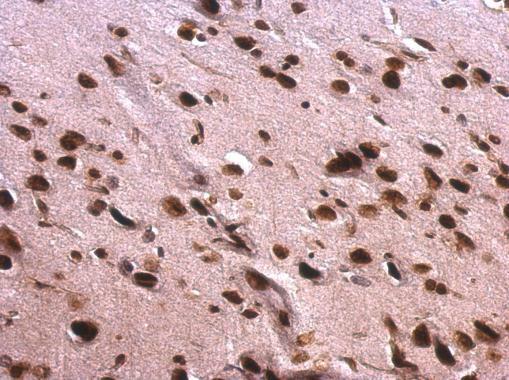 Sample: Paraffin-embedded rat fore brain. 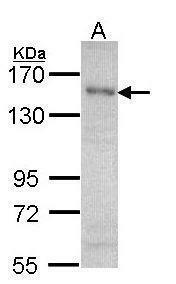 Scaffold attachment factor B1 antibody (TA308810) dilution: 1:500. 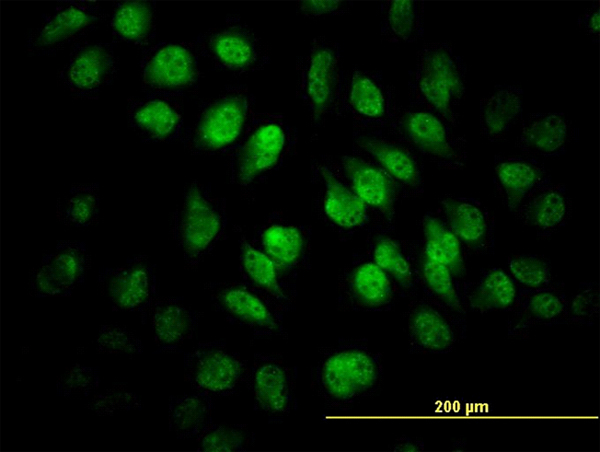 Immunofluorescence analysis of paraformaldehyde-fixed HeLa, using Scaffold attachment factor B1(TA308810) antibody at 1:100 dilution. 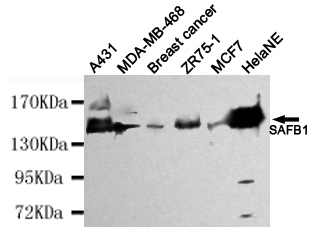 Western blot detection of SAFB1 in HelaNE,A431,MDA-MB-468,Breast cancer,ZR75-1 and MCF7 cell lysates using SAFB1 mouse mAb (1:4000 diluted).Predicted band size: 130kDa.Observed band size: 130kDa. 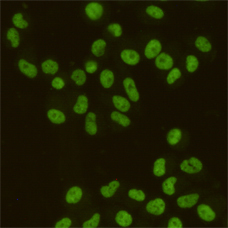 Immunocytochemistry staining of HeLa cells fixed with 4% Paraformaldehyde and using SAFB1 mouse mAb (dilution 1:200).